Yokohama, a major port city, is one of the most exciting places to visit in Japan. Many public facilities provide prayer rooms and Halal-friendly food, answering the needs of Muslim travelers. We introduce a Halal travel itinerary in Yokohama. Have been living in Japan for five years now and still having a great time discovering new, amazing things every day. As a Muslim, have you ever wanted to visit Japan but were unsure whether you'd find Halal food or proper places for prayer? In order to make everyone feel welcome in Japan, efforts have been made lately to adapt the facilities located in major sightseeing areas so that they answer the needs of Muslim travelers. An international port city, Yokohama has always been at the forefront of accommodating visitors from other countries. In fact, many public places such as sightseeing destinations or large shopping facilities are provided with prayer spaces. There are many Halal-friendly dining places available as well so Muslim travelers can be at ease when choosing Yokohama as their travel destination. This time we will be introducing a model course for a day trip to Yokohama which includes observing prayer times and lunch at a dining place that offers Halal-friendly food. Our reporter will be Fifa, a Malay student who has been living in Japan for four years now. We visited together all the facilities suggested in this model course and Fifa was kind to share with us her thoughts about each location. It was a very enjoyable day trip with an itinerary that we can warmly recommend to everyone. We met Fifa around 11:00 at Minatomirai Station and headed first to Yokohama World Porters, a shopping facility located near Yokohama Cosmo World, the city's famous amusement park. Yokohama World Porters is a large shopping center where you can find anything you might wish to buy in Japan - from the latest fashion and accessories to interior goods and souvenirs. There are various shops on the first four floors and restaurants and cafes on the fifth floor. The facility is provided with a spacious prayer room on its sixth floor which can be used upon request. After looking around for a while at the shops, shortly before 11:30, we headed to the prayer room. In order to use the prayer room, please go first to the information counter located on the second floor of Yokohama World Porters. After filling in a simple form, you will be handed a code for accessing the prayer room. The prayer room is provided with several sets of compasses and prayer rugs. Located on a corridor that's separate from the shop area, the room is very quiet. There are also various pamphlets with travel information for Muslim visitors available, which you can pick up on your way back. After the prayer, please remember to go once again to the information counter to let the staff know that the room is not in use anymore. We continued our shopping in Yokohama World Porters. Let us introduce some shops that have caught Fifa's attention. Honeys factory is a popular women's fashion shop. The Yokohama World Porters store is located on the first floor. There is a wide variety of clothes and accessories available at Honeys factory. In fact, any customer will most surely find items that they like. Besides being a shop that sells fashionable and good quality clothing, another reason for the popularity of Honeys factory is that all their items are reasonably priced. Fifa had fun looking around the shop and trying on the items she liked. She actually found a nice shawl that she bought as a keepsake from her trip to Yokohama. Next, we stopped at the sweets shop Osama no Okashi Land, located on the second floor of Yokohama World Porters. Fifa was really excited looking around this sweets heaven. There are so many types of traditional and new sweets, most of them in shapes and colors she had never seen before! Before purchasing anything, she would take a look at the list of ingredients on the package. If you're unsure about the ingredients, please ask for the staff's assistance. They will be more than happy to explain what the product contains. Some of the sweets available at Osama no Okashi Land which Fifa recommends are the Karumeyaki, a traditional Japanese snack with an aromatic black sugar flavor, the Sakusaku Panda cookies, which are bite-sized an can be enjoyed also by children, and the red bean flavored candy (anko ame). At lunchtime, we decided to go to Port Terrace Cafe, located within JICA Yokohama, a facility that can be reached in less than 5 minutes by foot from Yokohama World Porters. The Japan International Cooperation Agency (JICA) is a governmental organization that aims to contribute to the promotion of international cooperation as well as the sound development of Japanese and global economy by supporting the socioeconomic development, recovery and economic stability of developing regions. JICA also accommodates officials from developing countries for training programs in its international centers. JICA has 15 international centers all over Japan and JICA Yokohama is one of them. It runs a cafe that offers a wide range of dishes, including Halal and vegetarian food. Port Terrace Cafe is located on the third floor of the building and can be accessed by anyone. One of the features of this cafe is that it has an Englsh menu available. At the entrance, the visitors can see what dishes are available and what they contain. The dishes made with Halal certified meat are marked and provided with an explanation of the ingredients. Fifa chose a lamb kofta dish with tomato sauce and vegetables, that not only looked good but also tasted great. The meat used in this dish is Halal, as well as all the other ingredients. After lunch, how about visiting the Japanese Overseas Migration Museum located on the second floor of the building? It is an impressive exhibition recording the massive migration of Japanese people to other countries from the Meiji period (1868 - 1912) to the '90s. In addition to offering information on how the Japanese lived in those times, the exhibit also explains the contribution brought by Japanese migrants to the societies that became their new homes mainly in North and South American countries. Yokohama Landmark Tower "Sky Garden"
Our next destination was the Sky Garden Observatory located on the 69th floor of Yokohama Landmark Tower. The Landmark Tower can be reached in around 15 minutes by foot from JICA. The Sky Garden Observatory is one of the most popular sightseeing spots in Yokohama offering an unobstructed view over the city towards the ocean. In fact, visitors can enjoy the view towards all cardinal directions - over Tokyo to the north, over Chiba to the east and far off in the distance towards Kanagawa and other regions to the west! Seeing the station, the department stores and the amusement park we had passed by just a few minutes earlier from above was a very special experience. 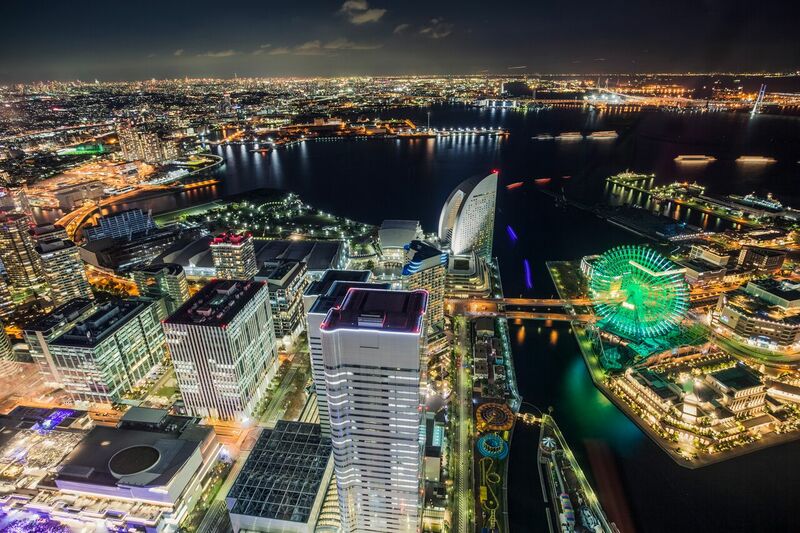 We highly recommend visiting the Sky Garden Observatory of Yokohama's Landmark Tower! The night view is very beautiful too! 4: 15:50 - 16:40 - Visiting NIPPON MARU, the Legendary Ship! The next destination we would like to suggest is the Yokohama Port Museum, easily reachable from the Landmark Tower. At the Yokohama Port Museum, you can see fascinating exhibits related to the history and role of the Port of Yokohama, Japan's leading gateway to the world. One of the highlights of the facility is NIPPON MARU, a sail training ship built in 1930. Visitors can actually enter the ship to see the deck and almost all the rooms inside. All the objects on display offer precious insights about the life and work of sailors, as well as about Japan's maritime history. Visiting the Nippon Maru is a truly exciting experience. The Yokohama Port Museum provides Muslim visitors with a prayer kit containing a compass, a rug and a tent which can be installed within a designated space in the museum for privacy. Please inquire about it at the reception counter within the main building of the museum. There is no better way to close a fun day of sightseeing in Yokohama than with a ride on the Sea Bass, a means of transportation that is very popular in Yokohama. You can board the Sea Bass at Pukari-sanbashi Pier, which can be reached in around 12 minutes by foot from Yokohama Port Museum. The pier is a fascinating structure itself, being beautifully lit up in the evening. The Sea Bass will take you directly to Yokohama Station. 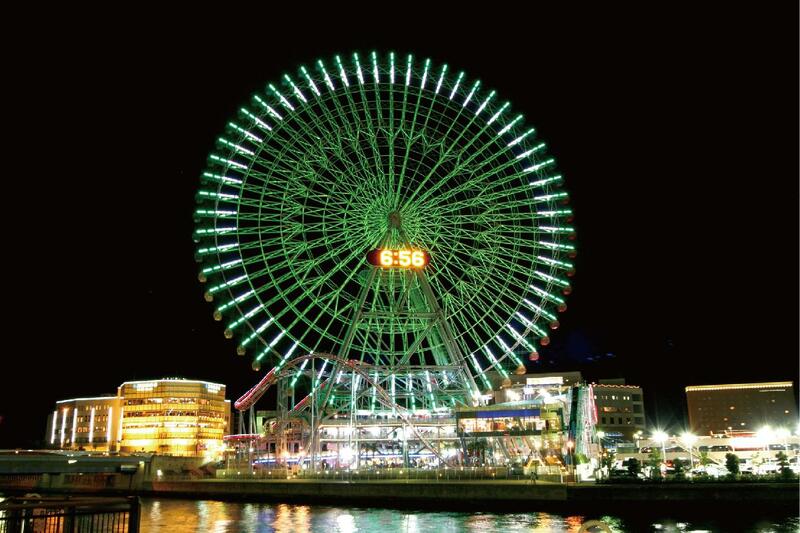 The ride takes 10 minutes, giving you the chance to see and photograph the city of Yokohama at night, when the lights are on creating a wonderful view. The Sea Bass is provided with seats both on the deck and inside, so you can enjoy a leisurely ride while gazing out at the city - definitely one of the best attractions in Yokohama. 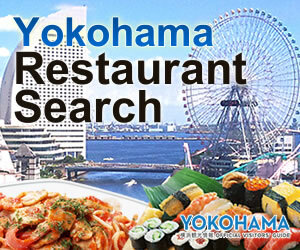 *On weekends, the last sea bass heading to Yokohama Station departs at 19:40. 6: Have a Great Time in Yokohama! 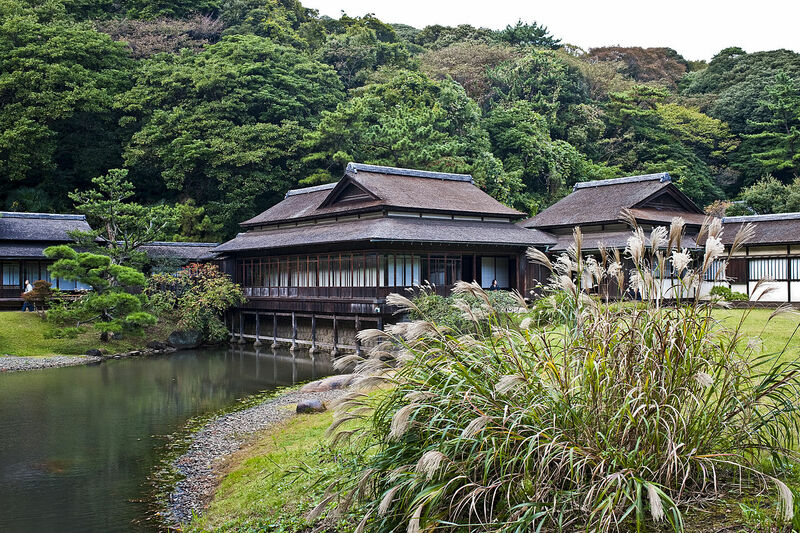 Yokohama is full of great places to visit and many of them offer services that answer the needs of Muslim travelers. Use our suggestions as inspiration for planning your trip. We wish you enjoy a wonderful time visiting Yokohama, a truly international and magnificent port city.